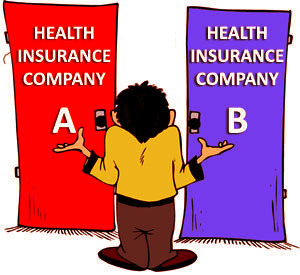 In this article we are focusing on Health Insurance plans offered by Cigna TTK Company. Cigna brings to India its renowned global standards in the health insurance business. Some of the special aspects about Cigna are that, by way of its global reach, the company can offer worldwide emergency cover under all of its plans. This is a necessity considering that overseas travel is becoming a common feature for the wider section of today’s population. Also, Cigna allows enrollment of infants from the tender age of 91 days and has policies at individual level as well as family floaters. This plan of Cigna TTK is quite attractive in the sense that it has considerable flexibility. It can cater to a spectrum of people as it offers a wide range of Sum Assured – from Rs. 2.5 lacs to Rs. 10 lacs. This basic plan however enables you to experience the world class service standards of Cigna. People can start through a low sum assured policy with a low premium pay out. Moreover, for the organized sector salaried employees who already have a group coverage from their employer, this basic standalone protect coverage can give them total peace of mind from any unforeseen health problems. For the in-patient hospitalization, this basic plan allows single private room stay. Pre hospitalization expenses coverage from 60 days prior to hospitalization for any ailment requiring the same. Here the expenses mainly include diagnosis, testing, investigations, and with the assurance of coverage there would be no compromise on these. Post-hospitalization expenses coverage helps in proper recuperation by following the discharge prescription for a period of 90 days. OPD or Day Care treatment to the extent of full sum assured for an exhaustive range of procedures. Restoration of sum assured for this policy is an interesting feature whereby sum insured is automatically increased to its original limit if the policyholder exhausts the sum insured in a financial year. However the restored amount is not applicable for the same illness. This plan being a basic health protection plan, it does not cover Maternity and New Born baby expenses. However it gives options for cumulative bonus booster and add-on critical illness coverage. Though the pre-existing diseases waiting period under this plan is 48 months and coverage starts post that period but it allows the policyholder to avail expert opinion once a year during this waiting period. Finally while subscribing to this policy, one should declare one’s full medical history with regard to prior diseases, if any. This transparency shall result in a fruitful relationship and hassle-free claim pay out. The post hospitalisation expense coverage is available for 180 days. Thus this plan becomes useful for patients with any chronic ailment requiring sustained monitoring for extended period. The plan has a reduced waiting period for pre-existing diseases in 36 months and the coverage starts post that period. The associated benefits under this Plus plan is increased with ambulance expenses of Rs. 3000 and Health Maintenance benefits coverage of Rs. 2000. Under this plan Maternity coverage is provided with amounts being Rs. 15000 for normal and Rs. 25000 for a C-Section delivery. Even New-Born Baby related expenses are covered under this plan and is linked to maternity coverage. For in-patient hospitalisation the choice of room is open and any room can be availed except a suite. The ambulance charges are provided at actuals. The pre-existing diseases waiting period is less and limited to 24 months. Health maintenance benefits is enhanced to Rs. 15000 in this plan. Maternity coverage is also enhanced with a coverage of Rs. 50,000 for normal and Rs. 1 Lakh for a C-section delivery. To read about more plans of Cigna TTK, continue to Part II of this article.